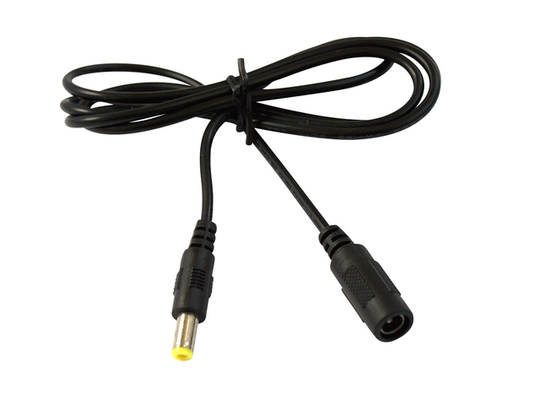 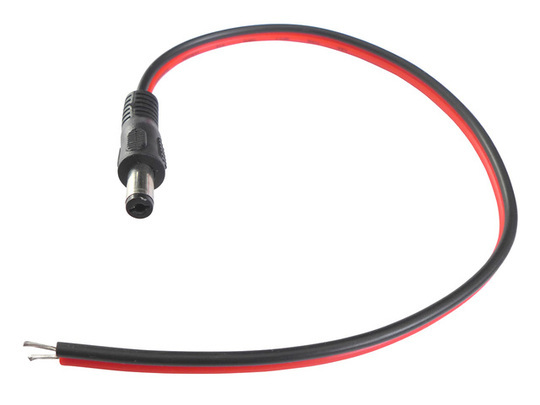 These leads feature a DC barrel connector (either male or female, selectable below) at one end and bare tinned lead ends at the other. 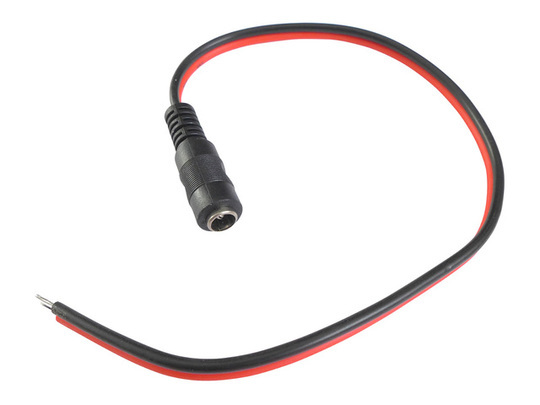 The 2.1 x 5.5mm connector is centre-positive (and the outside of the barrel will connect to the black cable). 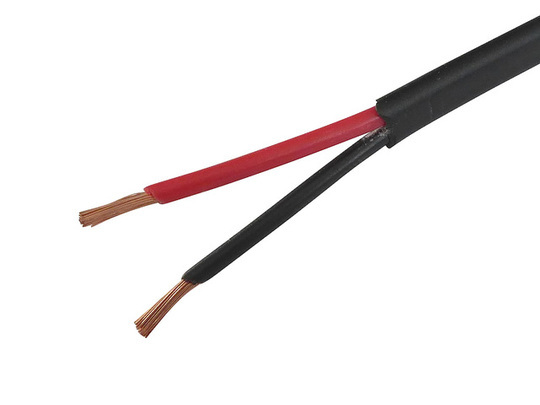 The red and black flat cables each have a 20AWG conductive area, suitable for carrying currents up to 8A continuous. 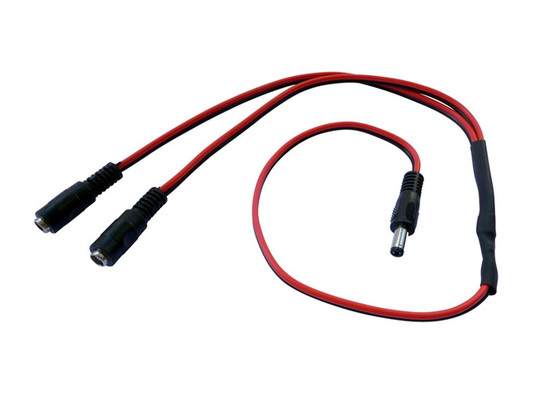 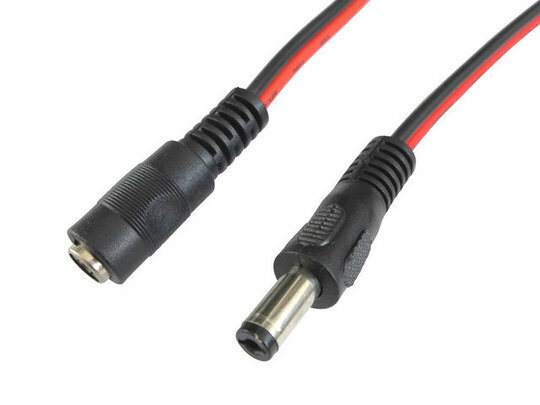 Both the connectors and cables of these leads are of a much greater quality than many similar cables often used for power routing in CCTV installations.